There’s nothing more deadly to your automatic transmission than heat. But your friends at Cottman in Columbia, SC can help you protect your transmission against heat damage, to keep your transmission operating for years to come. Hot transmission fluid flows into the transmission cooler, where it’s surrounded by coolant. That heat is absorbed by the coolant, where it’ll eventually be released to the air passing over the radiator fins. The cooled transmission fluid then returns to the transmission to keep the transmission operating at a safe temperature. On other vehicles, the load placed on the transmission ends up generating more heat than the factory cooler was designed to handle. Cars that pull campers or work trucks are common situations where the factory cooler just doesn’t provide adequate heat transfer to keep the transmission cool enough. 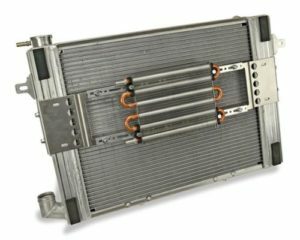 Our technicians at the Columbia, SC Cottman center can examine your car or truck, and let you know whether an auxiliary transmission cooler would be a worthwhile investment to help protect your automatic transmission. And, if you decide to have one installed, they can take care of finding one with the right capacity, and installing it on your car or truck.